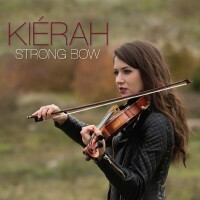 October 9, 2017 - CelticRadio.net - Kierah is a passionate virtuoso fiddler, with a passion for timeless Celtic melodies. Her recent album, Strong Bow is a truly emotional stunner, with beautiful arrangements and outstanding production values. It is always very inspiring to hear a musician share something intimate with the audience. 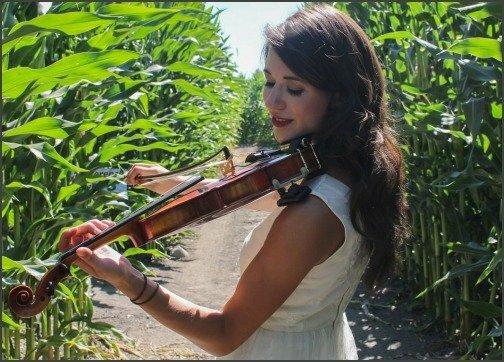 Kierah is able to effuse a lot of positivity and emotions through her playing, which is not solely a showcase of virtuoso fiddle skills, but a heartfelt homage to the tradition of Celtic folk. Strong_Bow features songs that highlight the artists unique approach to composition and fiddle mastery. She explores a wide range of styles, exploring many different melodic and rhythmic solutions. The album features a selection of stunning original compositions, as well as beautiful renditions of other songs that borrow from the vast songbook of the Celtic tradition. On these recordings, Kierah is aided by a stellar cast of world-class musicians, including Adam Dobres on acoustic and electric guitar, as well as multi-instrumentalist Adrian Dolan, percussionist Robin Layne, drummer Jake Jenne, as well as Paul O'Brien (bodhran), Harold Birston (cello) and Michael McGoldrick (flute). There is a really strong chemistry between these musicians: each and every single one of them contributed beautifully to the sound of this record, particularly Adrian Dolan, who also wears the producer hat for this particular project. The resulting album is a pleasant and atmospheric journey through old and new melodies - some familiar, some to discover (or re-discover). Tracks such as Zephyr or Charlottes Web reveal the projects mellow side, while tracks like Fair Maiden or Come West Along The Road have a more joyous, folk-inspired sound that feels earthy and inviting. In conclusion, Strong_Bow is a rare gem that combines technical skills and stellar musical chops with authentic passion and heartfelt performances. 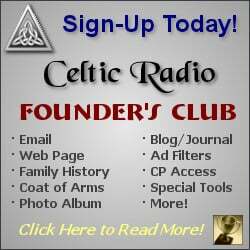 A must-listen for all purveyors of fine Celtic music and thus earns five stars from Celtic Radio!